Tomatoes are a lovely refresher, especially during the summer, and are a great staple in any salad, soup, or another kind of meal. What’s better than purchasing your own tomatoes from the store is growing your own in your backyard, where you know exactly how they are being treated and cared for, and where the taste is unlike anything you can find in the store. Also, tomatoes are one of the easier plants to grow. However, you need to ensure that the vines are not touching the ground, so that they will be less susceptible to disease and other problems that may arise. This is where something that will hold them up comes in handy, such as a DIY tomato cage, which will help to make the process easier. 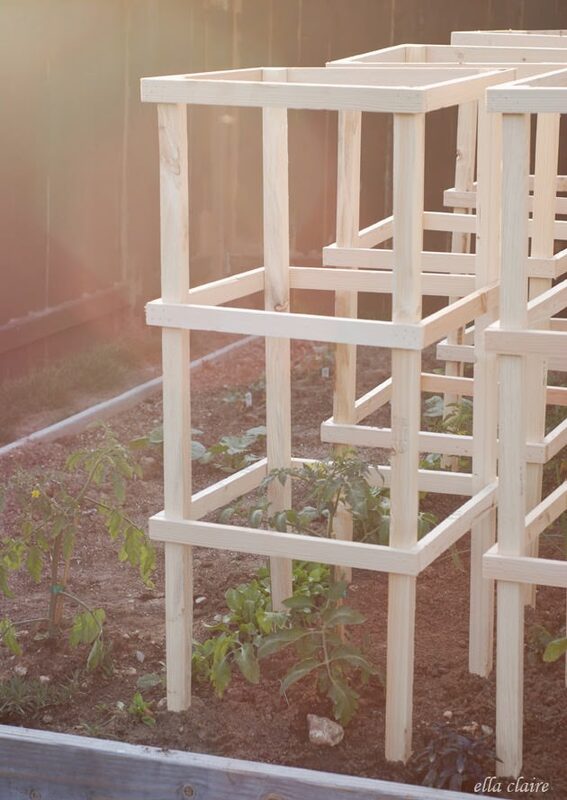 There are plenty of trellis cages that you can choose from, and most gardening stores offer pre-assembled ones, but sometimes building your own can help you to have a design that not only you like, but will be a lot cheaper and will be of much higher quality. 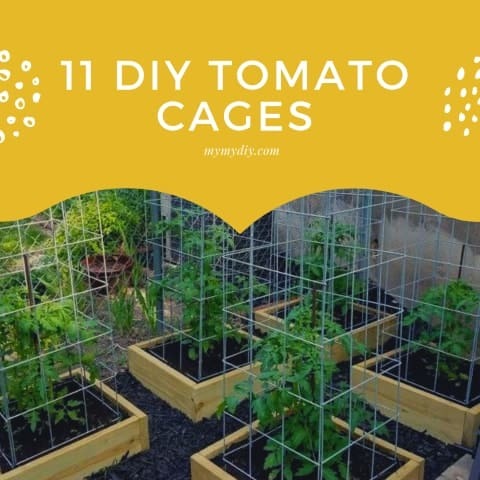 So, without further ado, here is a list of different types of handmade cages that might appeal to you if you’re planning on growing tomatoes in your own backyard. A Christmas Tree Tomato Cage? 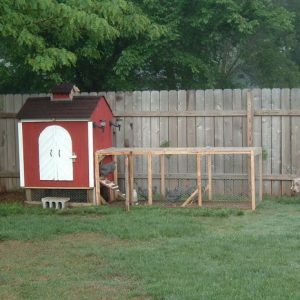 According to this website, making your own cage is much more effective than purchasing one at the store, and the quality is almost guaranteed to be better. What you’re going to need for this one is a pair of gloves, heavy duty wire cutters, vice grips, and wire mesh, all of which you can purchase at a hardware store. 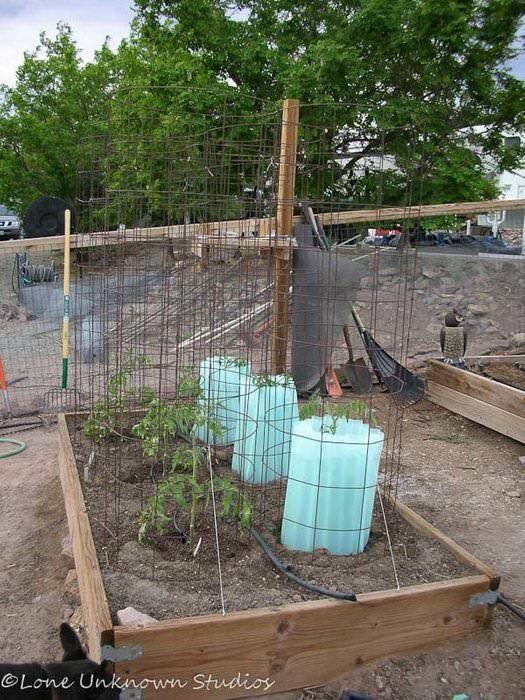 The site recommends about 12 sections of wire mesh in order to have something big enough for all of your tomatoes. Fix all the hooks and you’re essentially finished! 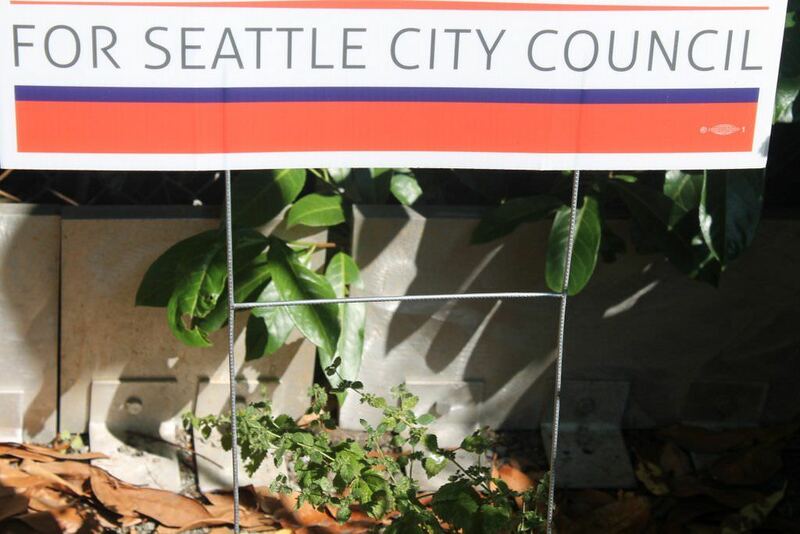 This is a great idea if you have an extra sign from a past election that you no longer need, now that the elections are over. Recycling is essential for the environment and now you are making your own contribution. You’ll need about three or four signs, pliers, and if you wish, spray paint. Take the signs and put them into the ground in a square or triangular shape, depending on how many you have. Take the top wires and twist them around each other. And now you’re pretty much done! 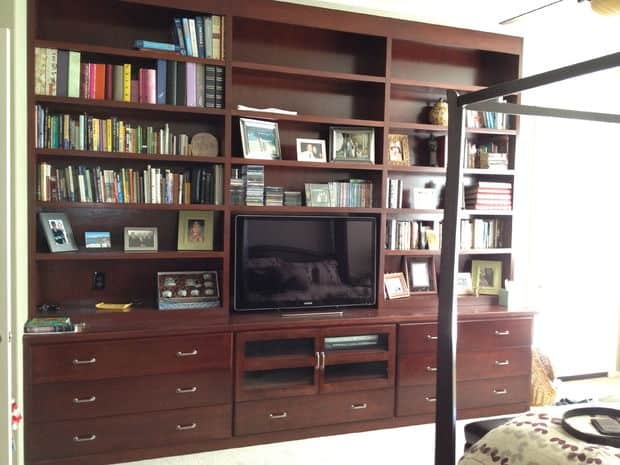 Here is a wonderful option if you want something a little different and a lot fancier than plain wires. Gather your tools, such as a chalk line, measuring tape, a saw, marker, drill, drill bits, pex tubing, and PVC. Take chalk line and snap it down the PVS. Measure where you want to drill holes in the PVS, and then drill. Don’t use too much pressure, however! Thread the pex tubing through the holes you drilled. For the nutrient system, cut the bottom off at a 45-degree angle, then drill a hole to put the nutrients or water into the plant roots. Cut and drill a hole in the PVC and wire the trellis string through it. Make sure that you’re gentle with your plants! This is a little more costly, but the website suggests that this is the best and sturdiest way to build a handmade cage. Other websites also consider this to be the ultimate way to create a tomato cage and is guaranteed to be helpful in growing any type of plant. 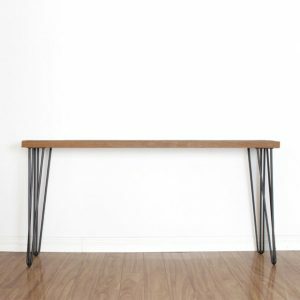 What you’re going to need are cattle panels, which cost approximately 20 dollars per piece. In order to make six support cages, for example, you’ll need to but four panels. Cattle panel can be found in any farm supply store. Get heavy duty wire cutters in order to cut the panels to the size you want them. Get one pressure board per cage, screws, zip ties, a hammer, drill, level, and work gloves. This one is a little more complicated, but can be completed in a few steps. Make sure you follow all the instructions carefully, and this is almost guaranteed to be one of the best quality cages! Believe it or not, this option is only estimated to be less than four dollars, according to the website- really cheap!. So, if you’re looking for something a lot more inexpensive than the other options listed, then this is the one for you. This can be used for any type of plant, not just tomatoes, as the example used in the site was an orchid plant. All that you’re going to need is twine and bamboo stakes. Find the best place in your garden that will provide a lot of sun, then space out a four foot circle in the soil so that you can make your support cage. Take five of the stakes, and put them into the soil at a small angle so that they can face inwards. Then, put the rest of the stakes evenly spaced out, again pointing inwards. The website says that the end result should look something like a teepee. Take as much twine as you feel necessary so that you can tie the stakes together. These two tools are only less than five dollars, so not only is this a great way to keep your plants safe, but also, it will be kind to your budget! 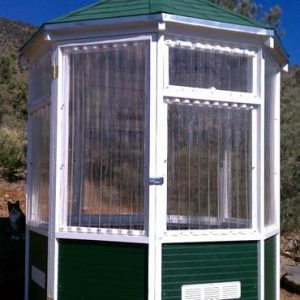 This website suggests against purchasing the wire cages that are offered in gardening stores, as the quality of those tends to be poor and won’t hold your plants well (the author even said that it ruined her tomatoes in previous years, and now she has found a way to have the best produce possible and that can be reused for many, many years). You’ll need concrete reinforcing wire, wire cutters, gloves, someone strong to help you or, if you don’t have anyone, cement blocks will help. The site also suggests that you use something to protect your eyes, too. Take as much mesh as you feel will be needed, and then cut it. However, it is hard to cut, so this may be where you’ll need a helping hand. Cut the bottom part off, and put the cage into the ground. The site also suggests that, if you live somewhere where there’s a lot of wind, you stake it up. 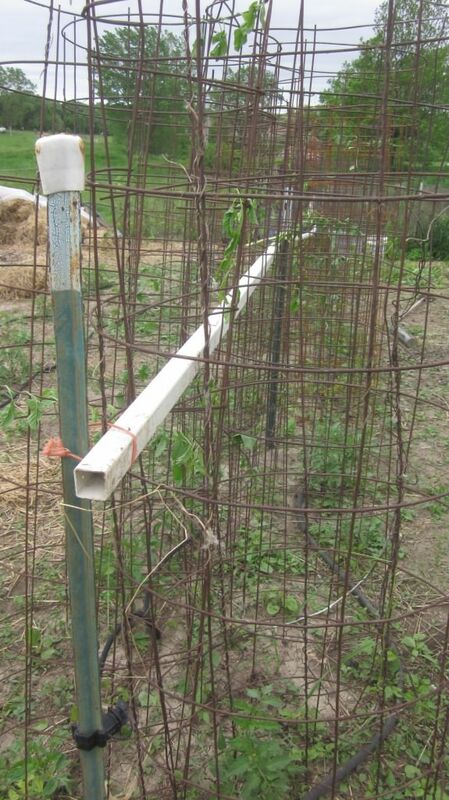 While it is a little more difficult to do anything to the concrete wire, this is a great way to help keep the vines of your plants off the ground. With this option, you’ll be creating a wooden cage, which can be very expensive if you purchase your own assembled design from the store. But, if you buy all the necessary pieces, you’ll end up spending a lot less money. The essential tools are wooden boards that you will need to cut accordingly, a nail gun (or screws), measuring tape, and a saw. Make sure that you have good safety equipment since you’re going to be cutting wood. 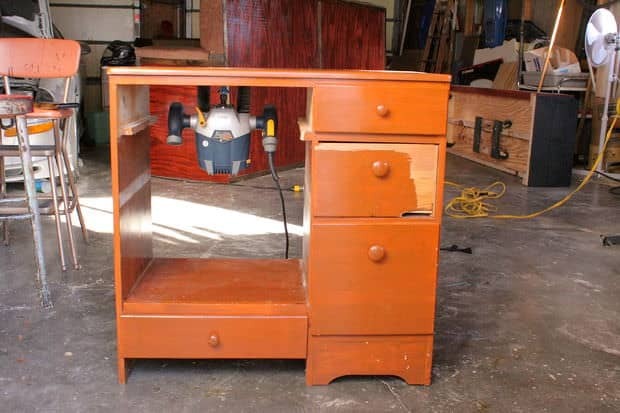 Once the wood is cut the way you want it and to the size desired, lay out the wood in the way you wish for it to be assembled, and then drill the nails in so that it can be held together. Once you’re finished drilling, your cage is ready for use! If you love crafts, a tomato cage can be utilized to decorate for many seasons and holidays. Not only can you save money by making your own holiday and season decor, but also the cages are inexpensive themselves. If you’d rather add on another craft project, and save a little more money, you can craft your own stylish enclosures. It’s easy to create a beautiful Christmas tree decoration if you want to grow tomatoes and avoid spending those high-dollar store prices. All you need is a tomato cage in whatever size you want your Christmas tree, enough garland to cover the enclosure, string lights, and zip ties. Start by bending all of the prongs on the end together to form a point. Hold them in place with a zip tie. To make the project easier, lay out your garland and simply zip tie the string lights to the garland in a line. Then wrap the garland around the cage in an upwards spiral, starting at the circle base, and ending at the pointed top. Many people like to hide the pointed top with a decoration such as a big red bow. Another variant of this craft involves skipping the garland and bow, and simply wrapping string lights around it for a simple and clean look. If you’re trying to add the essence of Halloween to your porch, try making a tomato cage ghost. You can save the trip to the Halloween store by gathering a few things you have lying around the house. For each ghost, you’ll need an enclosure, string lights, a sharpie, and a king size pillowcase. First, set the enclosure with the circle side resting flat on the ground, and the pointed ends sticking up to the ceiling. Then find some old Christmas style string lights, and wrap them throughout the inside. If you want to use string or zip ties to keep the lights in place, you can do that too. Grab an old white or cream colored pillowcase, lay it flat on its seams, and draw a cute ghost face near the sealed end. Color in the eyes and mouth, and slip the pillowcase over the top. Some other variations include putting a foam ball on top of the pointy side to create a rounder head for your ghost. You can also sew on black felt cut-outs for the face instead to allow the eyes and mouth to pop even more. Either way, you’re sure to have fun and spread the Halloween spirit. 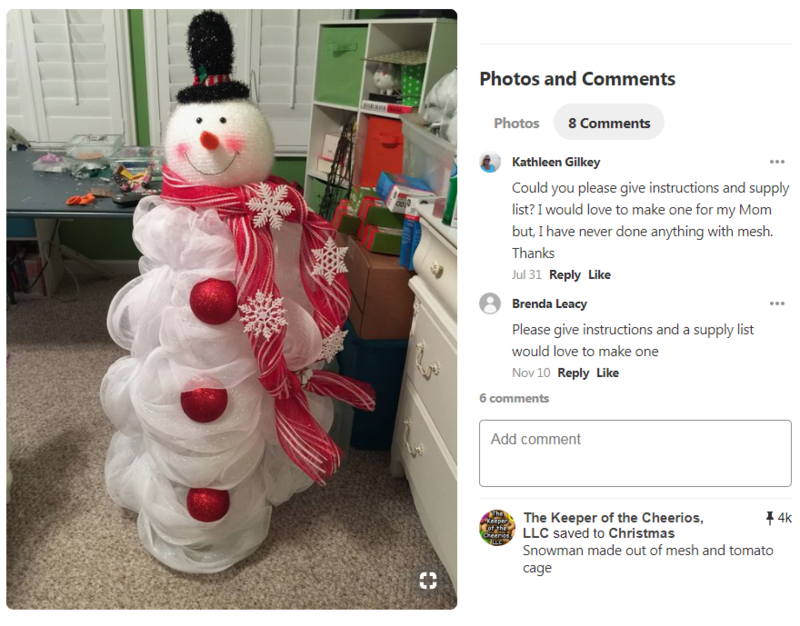 If you want even more decor for the winter season, you can also make an adorable “tomato cage snowman decoration” (https://www.ehow.com/how_12343675_make-snowman-out-tomato-cage.html). This craft project requires a taller cage, a paper lantern, tissue paper, tape, a white sheet, white or creme ribbon, and orange and black felt. Of course, you can customize many of these items to things you have lying around the house, and decorate any way you’d like. The end result is a more traditional looking snowman. For those of you looking for something with more style and an element of design and beauty, there’s the “white and silver mesh cloth snowman”. This design requires lots of mesh cloth, three big round Christmas ornaments to use as buttons, and a contrasting ribbon to use as a scarf. Throw on some craft snowflakes and a couple bells, and you’ll have a glamorous snowman. Add a personal flare by using whatever you have on hand to craft with. It’ll save you money, and make your snowman truly unique. The company Home Depot makes shopping for a tomato enclosure simple by offering you a variety of options, including colors. The standard size that the website carries is forty-two inches, but they offer other sizes if you need something smaller or larger. They all range in price from about $3 – $6, so they’re relatively cheap. Making your own tomato cage can be simple and fun, and you don’t even need to use the typical wireframe style. Many people chose to craft them out of wood because it’s easier to cut, assemble, and secure in place without needing to solder, or weld. 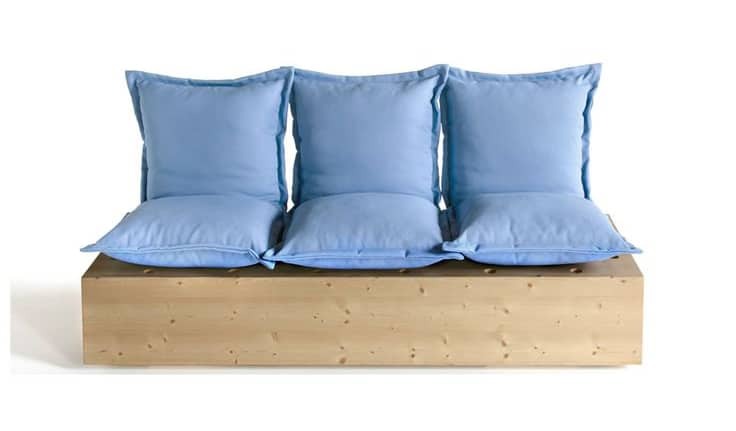 For this project, all you need is some petit wood pieces, such as one inch by one inch, and glue, nails, or screws. Arrange the wood to look like an enclosure, and secure into place. They’re easy to create, and wood looks more appealing too. 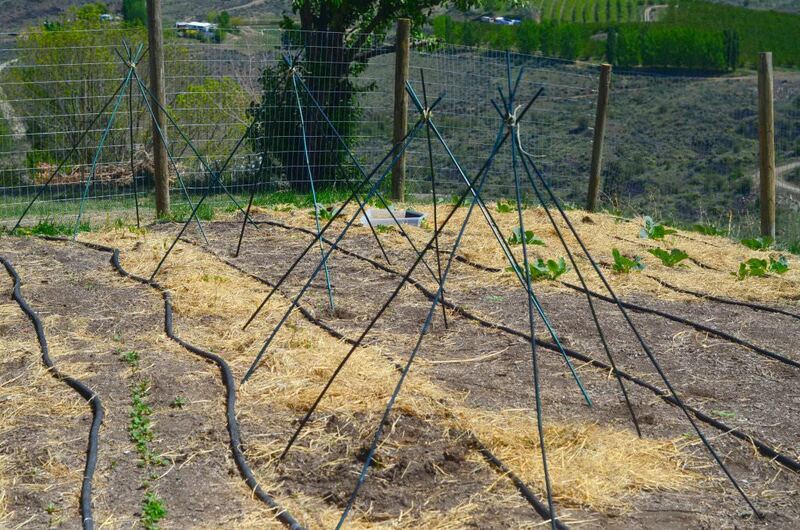 Tomato cages can be extremely versatile to both the gardener, the crafter, and the home decorator. The next time you need to decorate on a budget, you’ll know what to pull out of the shed. Or, better yet, have some more fun by making some wooden cages of your own.